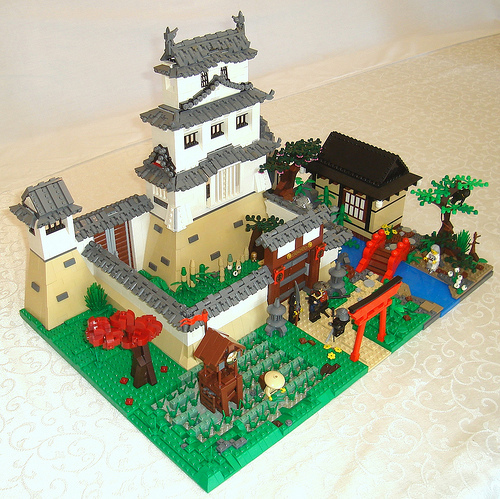 Check out this impressive Japanese Castle by Nathan / Mister 007. The walls, the roof, the whole thing is great! There are a lot of great techniques here that combine to make a wonderful scene. Really nice! Super great work, I have been looking for such type of oriental style creations and there aren’t many around. Not to mention one at such high standard. I can describe this in one word: awesome.